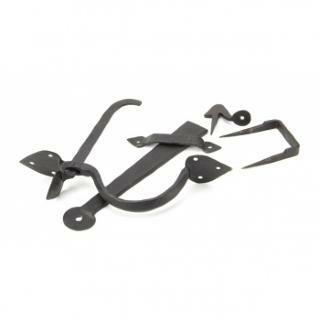 Traditionally used on a ledge and braced door, a thumb latch set is a decorative door latch with a thumb shaped lever. When the thumb shaped lever is pressed down this operates a thumb bar which passes through the door, this lifts the latch bar on the opposite side causing it to open. 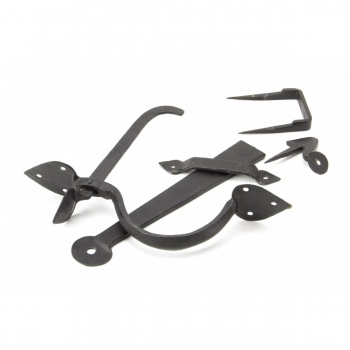 Our blacksmith thumblatches are hammered into shape from mild steel using the traditional manufacturing method of an anvil and fire. 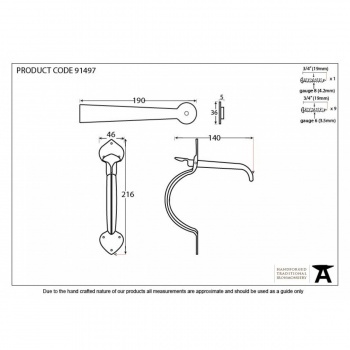 Thumblatches are usually used in conjunction with a tee hinge on traditional plank doors.